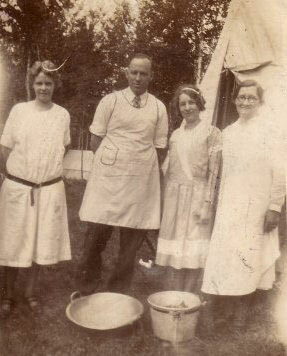 Covenant Point is one of the earliest examples of the Covenant Church’s summer camping movement, which gathered steam in the early 1900’s and continues today. Established in 1926, the camp was created by the then very active Young People’s and Sunday School Workers Conference (YPC) of the Great Lakes region Covenant Churches. At that time, “young people” included any person in the church who wasn’t married, with many people being in their 30’s. 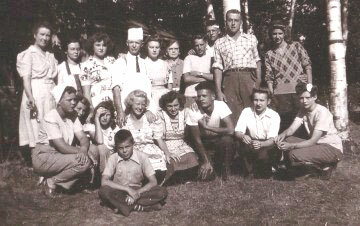 The YPC primarily served the spiritual needs of young people through conferences, tent meetings, and other activities. Covenant Point is a living legacy of revival camp meetings that swept through the Midwest in the early 20th century. One of the famous preachers at the time was Peter Paul Waldenström, one of the founders of the Covenant Church. 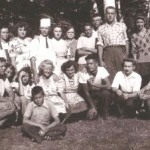 As evidence of his popularity, early Covenanters sometimes bore the name “Waldenströmians,” as well as “Mission Friends.” Waldenström was well received during his visits to Michigan’s Upper Peninsula at the beginning of the 1900’s, and there are still traces of these revival meetings at Covenant Point. For instance, Hagerman Lake, on which Covenant Point is located, has sometimes been nicknamed “Waldenström Pond,” and one of the pontoon boats fondly bears the name “P.P. Waldenström.” Waldenström was known for his warm and simple preaching, for his emphasis on God’s infinite grace, and for asking “Where is it written?” to inspire earnest study of the Bible as well as lives rooted in Scripture. These are lasting values that continue to influence the ministries of Covenant Point. 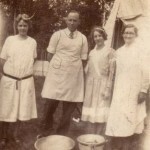 Plans began in 1926 to purchase the Lindstrom Farm on Hagerman Lake as a site on which to build a camp. The YPC held its first conference there in August 1927. 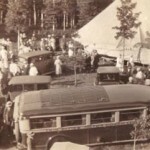 In July of 1928, the week-long tent meeting reached a high end on the closing Sunday, as 600 people came to hear Professor T.W. Anderson’s final sermon on the book of Romans. The enthusiasm of the meeting was not diminished by a storm that literally “brought down the tent” earlier in the week, but it was clear that the camp needed permanent buildings. The first of these buildings, the Tabernacle, was built in 1930 with funds raised by the Sunday Schools and to this day accommodates several hundred people. Covenant Point celebrated its 75th anniversary season in 2001. Established as partners in the 1960’s Covenant Harbor and Covenant Point Bible Camp are two “sister” camps which serve the Central Conference Churches of the Evangelical Covenant Church, are governed by the same Harbor Point Ministries board. Covenant Point has continued to build and expand, winterizing its facilities and offering more winter activities in addition to the traditional summer camping program. The camp is open year-round and can accommodate a maximum of 210 people for residential groups. 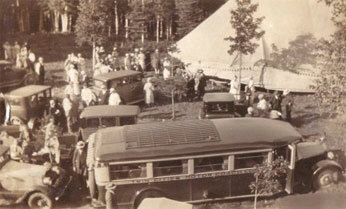 The camp is now owned directly by the Central Conference of the Covenant Church, which serves the churches of Upper Michigan, Wisconsin, Illinois, Indiana, and Missouri.